There are a range of options available if you receive a parking infringement. Payment is required within 28 days from date of issue of the infringement notice. After 28 days a Reminder Notice is issued. After a further 14 days, a Final Notice will be issued, plus an administration fee. The infringement will be referred to the Fines Enforcement Registry approximately 14 days after the Final Notice has been issued. There are a range of convenient options to choose from. Online by credit card (Visa or Mastercard). Pay Online. In person at the Town of Cottesloe, 109 Broome Street, Cottesloe, 6011. The Civic Centre is open 8.30am to 4.30pm Monday to Friday. By post to PO Box 606, Cottesloe, 6011. Please include the infringement along with a cheque or money order made out to the Town of Cottesloe with the full amount. It is not possible to make phone payments. It is not possible to make split payments or have a payment arrangement. If you wish to dispute a fine, you must submit an appeal in writing. For further information, please go to the 'Appeals' page. Should you wish to have a parking infringement heard in the Magistrates' Court rather than investigated by the Town, please notify the Town in writing. On receipt of such a nomination, the Town will make all necessary arrangements for the matter to be heard in the Magistrates' Court. It should be noted that the actual penalty for any offence under the Local Government Act is $5,000 (which can be imposed by a magistrate). However, a person may elect to pay the modified penalty for an offence (which are set in the Local Law) to avoid going before a magistrate. After a period of 14 days from the issue of the Final Demand, if the infringement has not been paid and you have not contacted the Town in writing, the infringement is referred to the Fines Enforcement Registry (FER). When this happens, the infringement notice becomes a court order and further fees are imposed to recover the fine. 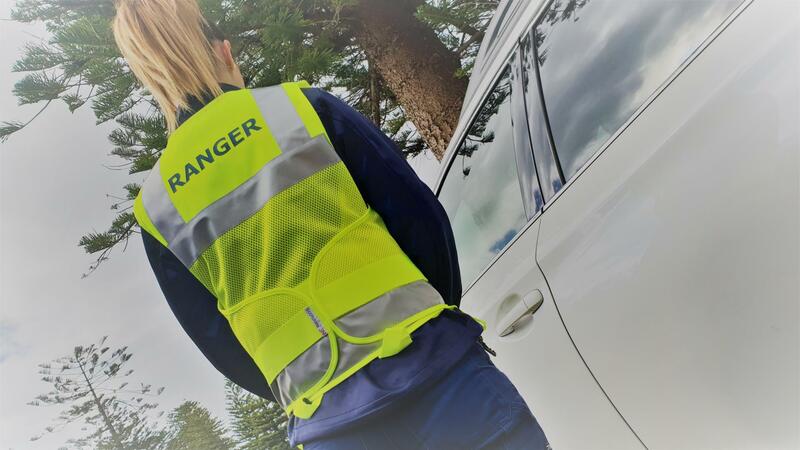 There are serious consequences for not paying fines in Western Australia, including driver's license suspension or removal of number plates from your vehicle. The Fines Enforcement Registry can be contacted on 1300 650 235. (Mobile/International Callers: (08) 9235 0235), between 8.30am to 4.30pm, Monday to Friday (except public holidays), or email fines@justice.wa.gov.au.